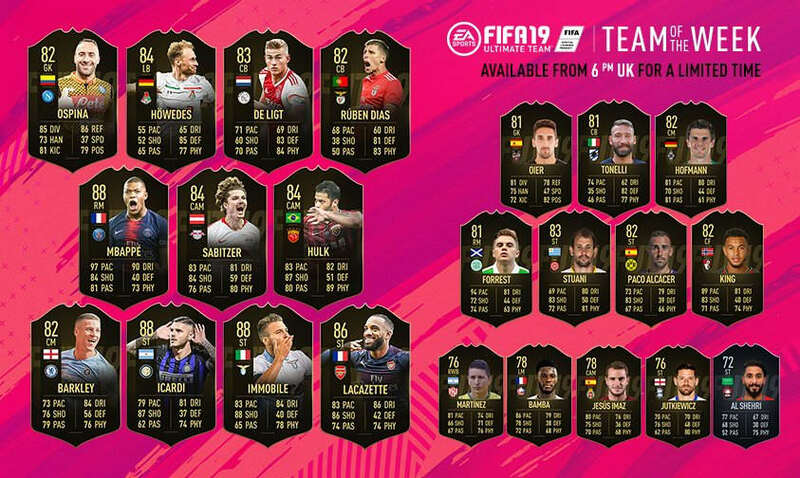 Each and every week EA Sports decides upon a FIFA Ultimate Team – Team of the Week (TOTW) based on players performing well in the real world for that particular week. Take a look at the official Team of the Week that will be available in Ultimate Team packs for one week on FIFA 19 from 10th October at 6pm. Is there anyone you’d fancy adding to your team? Surely being able to get the wonder kid Kylian Mbappe flying down the wing, the revitalised Ross Barkley spraying balls all over, or sticking David Ospina between the sticks will ensure your team can move to the next level!? Let us know who you’ll be hunting down by posting in the comments below.